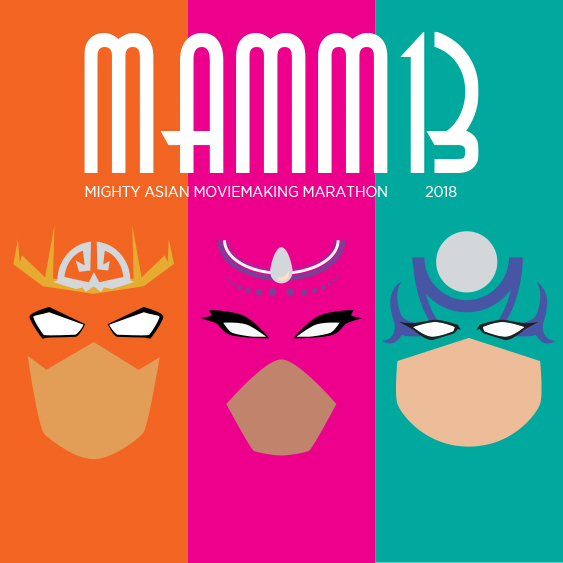 Start gathering your team of maverick filmmakers NOW and check back here for exciting news about our 14TH ANNUAL Mighty Asian Moviemaking Marathon (MAMM) coming May 2019! Submission details and eligibility in both categories (typically a 10 minute short category or a 1 minute ultra short category) will be announced at the start of summer. Questions regarding MAMM submissions can be emailed to mamm@vaff.org . Curious? Check out 2018’s 13th Annual Mighty Asian Moviemaking Marathon (MAMM). Join our Facebook Group to connect with other potential team members and get updates on MAMM! to be the first to find out about MAMM updates! Mighty Asian Moviemaking Marathon (MAMM) is VAFF’s premier annual short filmmaking contest. Its purpose is to foster emerging filmmakers and offer them both an educational experience as well as an opportunity to showcase their work to audiences and potential distributors. Founded 15 years ago, the competition has evolved over the years. Initially beginning as a 7-day competition, primarily using the dramatic narrative format with creative elements (such as fortune cookie fortunes) incorporated into storylines, MAMM has expanded into a 10-day contest with adjudicated pitch session and the ability to submit documentary shorts – the only short film competition with this genre in Vancouver – and both 10-minute short and 1-minute ultra short categories. When MAMM began, the popular misconception was that Asian Canadians had no interest in filmmaking. Since then, the independent filmmaking landscape of Metro Vancouver and BC has changed in the last 15 years, and the number of Asian Canadians both in front of and behind the camera has expanded. Asian Canadian filmmakers work professionally in the commercial, independent film, TV, VR, gaming, and video industries. MAMM and VAFF are proud to have been integral in this change in the film and media landscape. The Mighty Asian Moviemaking Marathon typically consists of two submission categories that teams can enter and compete in: a 10 minute short film category and a 1 minute ultra short category. Submission & registration details and eligibility for both categories will be announced at the beginning of each summer. Questions regarding submissions can be emailed to mamm@vaff.org . Watch MAMM13 GALA Awards Trailers and Award Winner Slides!